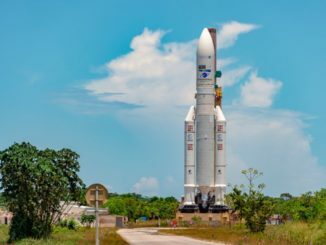 An Ariane 5 rocket emerged from the final assembly building at the Guiana Space Center in South America on Monday for the journey across the tropical spaceport to the ELA-3 launch zone, where the 179-foot-tall (54.8-meter) booster will lift off Tuesday with a pair of commercial communications satellites. 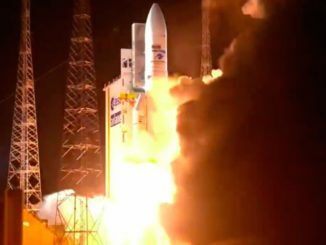 Two U.S.-built communications satellites rode the 100th European-made Ariane 5 rocket into orbit Tuesday from the jungle of French Guiana. Liftoff occurred at 2238 GMT (6:38 p.m. EDT) after a 45-minute delay caused by a range technical problem. 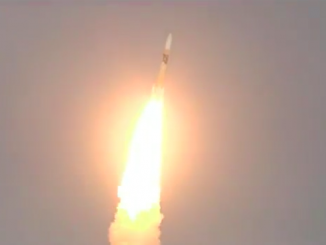 A Japanese H-2A rocket took off Tuesday with a communications satellite to relay messages and commands among the country’s defense forces, part of a $1.1 billion program to reduce Japan’s reliance on commercial and international providers to connect its military units. 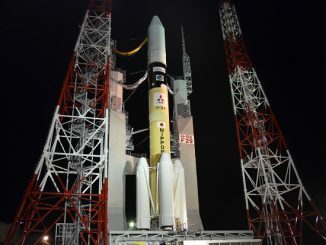 The first communications satellite dedicated to support Japanese defense forces will launch Tuesday on top of an H-2A rocket on the way to a perch more than 22,000 miles above Earth. 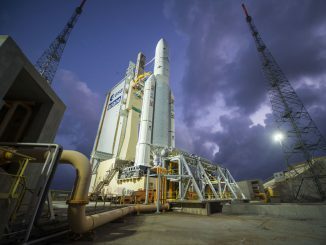 Arianespace has opened the year with two contracts to deliver commercial television and broadband satellites to orbit aboard Ariane 5 rockets launched from French Guiana in 2018 and 2019. 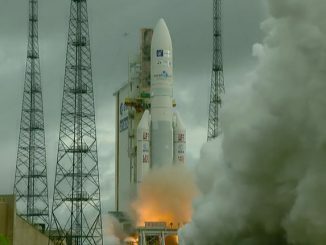 The Ariane 5 rocket’s 90th launch Wednesday carried two communications satellites to orbit to join the fleets of Embratel Star One and SKY Perfect JSAT, regional space-based telecom providers in Brazil and Japan. 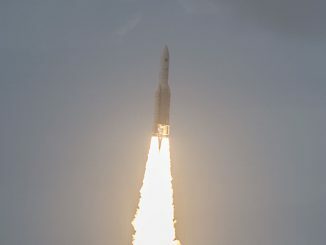 Closing out a banner year of launches, an Ariane 5 rocket thundered into space Wednesday from French Guiana with two commercial communications satellites manufactured in California to expand television and broadband access in Latin America and broadcast television programming in Japan. 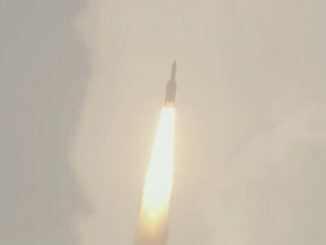 Watch a replay of the launch of an Ariane 5 rocket from French Guiana carrying the Star One D1 and JCSAT 15 communications satellites. 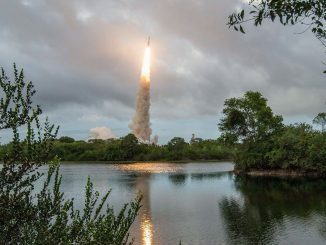 An Ariane 5 rocket has blasted off from a tropical launch pad in French Guiana on nearly 3 million pounds of thrust, hoisting two U.S.-built communications satellites to orbit for commercial owners in Brazil and Japan. 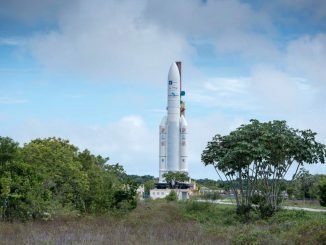 Topped with Brazilian and Japanese television broadcasting satellites, an Ariane 5 rocket rolled out to its launch pad in French Guiana on Tuesday, a day before its scheduled blastoff on the way to geostationary transfer orbit.